After the fantasy world of my last read, I decided to pick up something a little more realistic. The Perfect Mother by Aimee Molloy seemed a food choice. They call themselves the May Mothers – a group of new moms whose babies were born in the same month. Twice a week, they get together in Brooklyn’s Prospect Park for some much-needed adult time. When the women go out for drinks at a hip neighbourhood bar, they’re looking for a fun break from their daily routine. But on this hot Fourth of July night, something goes terrifyingly wrong: one of the babies is taken from his crib. Winnie, a single mom, was reluctant to leave six-week-old Midas with a babysitter, but her fellow May Mothers insisted everything would be fine. Now he is missing. What follows is a heart-pounding race to find Midas, during which secrets are exposed, marriages are tested, and friendships are destroyed. When I read the blurb to this novel, it resonated with me. When my children were young, it was hard for me to leave my babies with family members never mind strangers. Therefore, before I even began reading, I was already on the side of the mother whose baby had been kidnapped. The race to find the baby is echoed in the reactions of the May Mothers. As I read the novel, I could not help being suspicious of each one. And yet each time I thought I had ‘solved the mystery’, Molloy let me know that I was mistaken. This psychological thriller is a page turner with unexpected twists. This is a novel that you won’t want to put down. It is a novel that ends unexpectedly and give you a moment in which you pause for thought. I give this novel ⭐ ⭐⭐⭐️⭐️ 5 stars. I loved this one, too. Thanks for sharing. Ooo, I both want to read this one, and know that I would be biting my nails the whole time! I felt like I was. You know that anxious feeling you get when you need to know what will happen? You have it when you read this one! Yes! I just might have to read it. I loved this novel, too. Like you, it brought up all kinds of memories for me of when my girls were young. 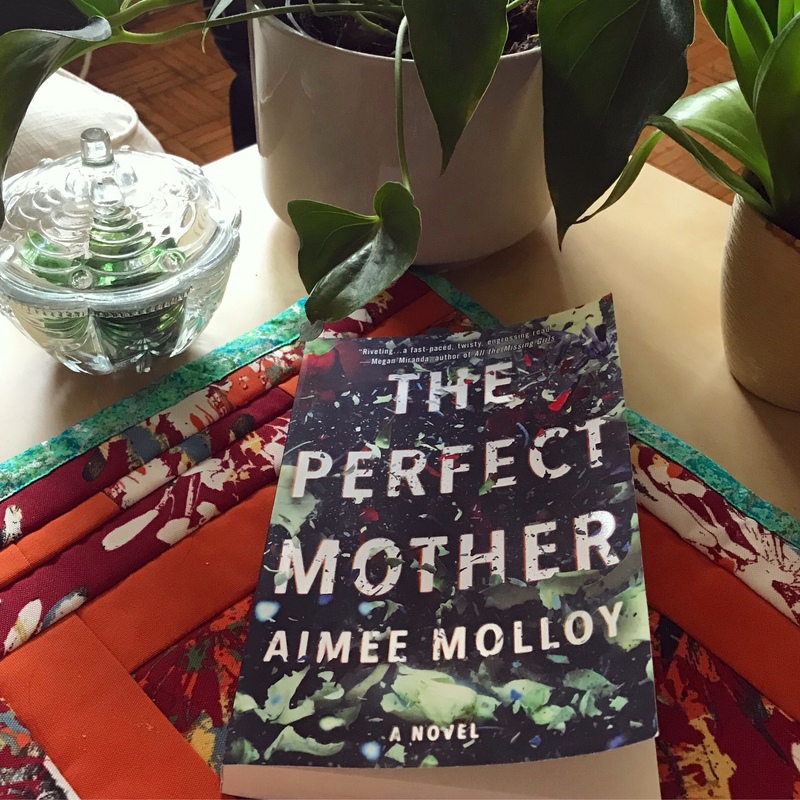 I liked how Aimee Molloy developed the characters and how they each had things going on in their personal lives that they were not sharing–it made me think about how we never really know what is going on in other people’s lives or what others are going through. So true. I was talking about this same thing with s friend today. We hire a part of ourselves from the outside world-and sometimes from our partner too.